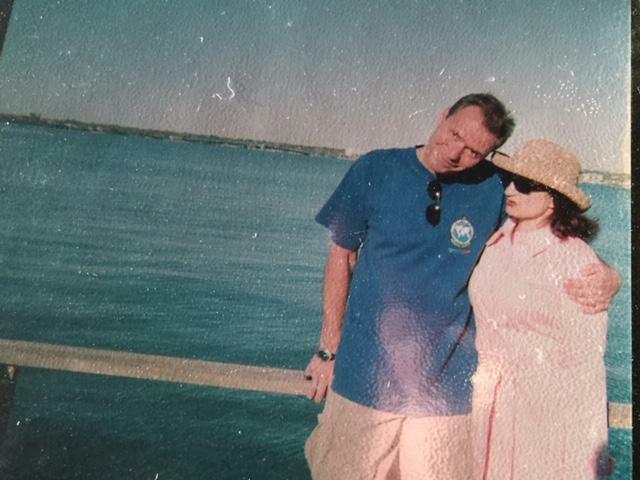 Picture of my husband and I on vacation in the beautiful State of Florida, not sure of the exact year but definitely sometime in the 90’s. In them days, we used a disposable camera to take snap shots. No cell phone, at that time, could take good photos. Oh, we had a great vacation because we were with great friends. As I look at this photo, taken at least 20 years ago, I realize that we had a wonderful life. We had less worries and we just lived in the moment. It’s always easy to look back, and see that what you had then was good. Why is it that when your in moment you cannot appreciate what you have been given? Would I like to go back? Maybe, but not too far back. Do I miss them days? Of course! I miss the “GOOD ‘OLE DAYS” LOL!